Put them in a large, heavy pot and add all the other ingredients. Bring to a boil, then turn to simmer. Delicious with curries or cold meats or spooned on top of cream cheese as an H’dourve [sic]. Note 1: Halve or chop, if desired. Note 2: Maintain a steady simmer (or it will take longer), and it’s been somewhat juicy the couple of times I made it. Note 3: 10 minutes in a boiling water bath — see general canning instructions. 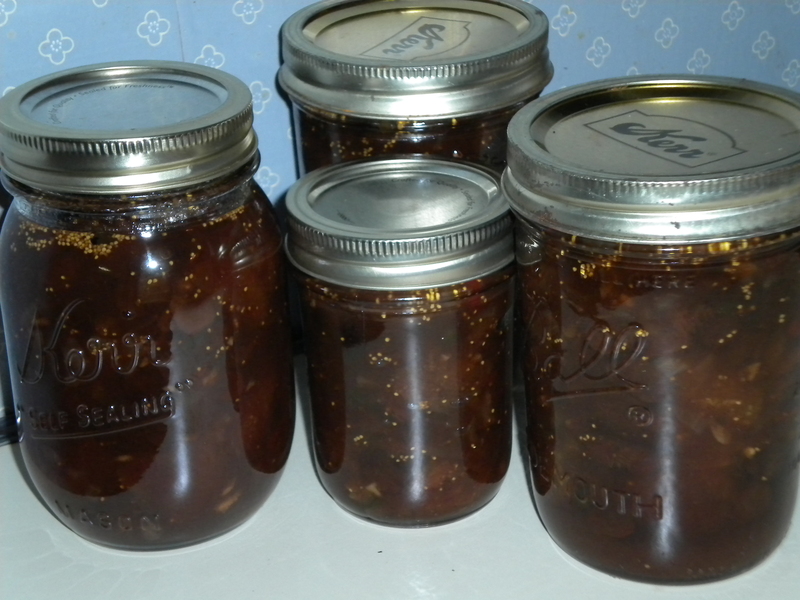 Nancy’s best answer to the wealth of figs from the neighbor’s tree. From Gardeners’ Gourmet II, The Garden Clubs of Mississippi, Inc., p. 264. Credit to Grace Finley, Diamondhead.